Colorado does not elect judges to office in contested elections (they are appointed by the governor from a list of 3 nominees selected by a judicial nominating commission), but they are required to receive voter approval to retain office (on a 4, 6, 8, or 10 year schedule based on the level of the court). The following judicial performance review scorecard summarizes some of the Colorado Supreme Court cases over the current term of office for the justices seeking retention which have had the greatest impact on the largest number of Colorado Citizens (primarily those with broad public policy implications), and how the incumbent justice appearing on the November 2014 ballot voted in each case. Clear The Bench Colorado’s evaluation methodology – presented at a National Conference on Evaluating Appellate Judges – has been acclaimed as the best in the nation for evaluating appellate court judges. For information on each case, click the link (case name) to link to the ruling’s full text; see also links to related commentary for additional information. Best possible rating would be 10-0-0 Voted 6-2-2 upholding the Constitution. Voted 5-2-2 * upholding the Constitution. Ballot initiative opponents sought to deny petitioners right to submit a proposal to clarify the constitutional definition of “fee” to voters (alleging violation of single-subject rule). Court majority (5-2 vote) upheld single-subject determination and right of petitioners to submit ballot question. This case is notable as an exceedingly rare instance of a judge being disciplined and publicly censured by the Colorado Commission on Judicial Discipline (subject to Colorado Supreme Court review). It is rated as a “mixed-result” ruling because although the judge was publicly censured, the court allowed a voluntary resignation rather than removal from office. The Colorado Supreme Court rejected an appeal by Democrats (attorney Mark Grueskin and Pueblo County Clerk & Recorder Gilbert Ortiz) seeking to overturn previous ruling by Denver District Court Judge Robert McGahey in favor of plaintiffs (led by the Colorado Libertarian Party, LPCO) advancing a constitutional claim to ballot access in Colorado’s historic Recall elections. The appeal was rejected on an unusual 3-3 split (Justice Hobbs did not participate). 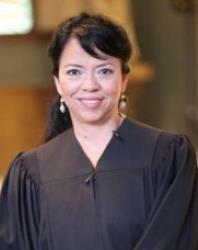 The Colorado Supreme Court overturned Denver District Judge Sheila Rappaport and upheld the constitutionality of Colorado’s school funding system, reversing a previous Colorado Supreme Court ruling from 2009. The court’s new majority ruled (appropriately) that school funding issues were policy decisions for elected officials, not the courts. Colorado Supreme Court ruled unanimously that the PUC could not forbid entry by a new company into the Denver taxi market. Ruling upheld right of the University of Colorado to fire tenured professor Ward Churchill in accord with university policies. A cautionary note was the basis of “quasi-judicial immunity” for the Board’s actions in terminating Churchill’s employment. Ruling upheld the Colorado Constitution and state law specifying the validity of state-issued concealed-carry permits in “all areas of the state” against CU’s attempt to infringe upon that right. Case decided on purely statutory grounds, leaving constitutional precedent language in previous Court of Appeals ruling intact. The majority ruling in this case usurped the authority of the legislative branch to conduct congressional redistricting, as specified in the Colorado Constitution. Concurring opinion (Coats) opens the door to constitutional remedy by the legislature, to redraw congressional boundaries in a future legislative session. The Colorado Supreme Court, reviewing the “work product” of the Colorado Reapportionment Commission (4 of the 11 members having been appointed by Chief Justice Bender) in redrawing the state’s legislative district boundaries) rejected the commission’s first set of maps for failing to meet constitutional requirements, but then accepting the commission’s 2nd (arguably also unconstitutional) set of legislative district maps. The following matrix lists the Colorado Court of Appeals judges appearing on the November ballot, with a representative sample of consequential cases decided by each judge. Click the link (case name) for the ruling’s full text; links to related commentary for additional information are included where relevant. This dispute involves the extent to which a railroad can authorize a third party’s incidental use of its continuously used railroad right-of-way as a non-exclusive easement for a public recreation trail. Ruling exempted entirety of Colorado judicial branch (including executive/regulatory functions such as attorney regulation) from Colorado Open Records Act (CORA) – essentially placing judiciary outside the law. Ruling affirmed immunity from liability under Colorado Governmental Immunity Act (CGIA) for bond insurance tort claim. Case #4 10CA2462 KIDDER III v. CHAFFEE COUNTY BOARD OF EQUALIZATION(November 2011)Ruling reverses county Board of Assessment Appeals reduction of taxable land value due to failure to follow statutory requirement to “value property using a time adjustment analysis.” PUBLIC SERVICE COMPANY OF COLORADO v. DEPARTMENT OF REVENUE OF THE STATE(September 2011)Ruling affirmed eligibility for refund of sales and use tax paid on purchase of machinery and tools for generation/distribution of electricity. Colorado Department of Revenue attempt to categorize electricity as “tangible personal property for sales and use tax purposes” rejected. 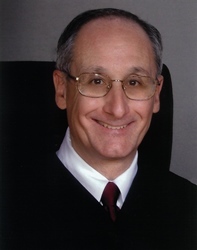 Since District/County judges rule on a much larger number of cases, many (if not most) of which do not result in published opinions – and as there are a great deal more of them appearing on the ballot – the methodology employed by Clear The Bench Colorado in reviewing judicial performance at this level relies primarily upon inputs from concerned citizens and knowledgeable parties (including attorneys, court-watchers, and sources in law enforcement) and lists specific cases only by exception. Our Know Your Judge: Citizen Input on District/County Judges 2014 page lists comments on each judge organized by judicial district. Anyone wishing to comment on any of the judges on this year’s ballot are welcome to submit comments and responsible, documented articles of reasonable length (please, no rants, slams, or diatribes) to our Know Your Judge: Citizen Input page 2014, or our Sound Off! page. Comments on any of the judicial performance evaluations are welcome, below. Thank you so much for doing thee ground work on these Judges. To many times people just don’t vote on them because they don’t have a clue or they vote no on all of them which is not fair to judges like Boatright. THANK you for your analysis. Any judge that does not uphold the Constitution or the Rule of Law needs to be replaced. Citizens cannot tolerate judicial tyranny. Only 16 of 114 returned surveys were from actual defendants. One of those was a civil case. Judges who don’t have a perfect score supporting the constitution have no place on the bench, in my opinion. Thanks for your work here. do you do any judges for counties? i need reviews of Douglas county judges to know how to vote for them or not? Excellent material. Keep up the great work you do in helping voters become more informed. Appreciate having this important information. Casting votes this time without blanks in the judicial voting section. The election of judges has always been problematic for me. Your reporting on their performances is very helpful. Thank you. Your presentation of various cases and how the judges ruled, upholding our constitution or not, helps me decide how to vote on each judge. Thank you for all the work you did collecting and presenting this material. Nice to have a place to go so we don’t continually throw the baby out etc., or just not vote or vote yes. Thank you. But, are judges appointed by the governor? Or are they voted in? Will we get worse judges if we reject these? Elizabeth, that’s an excellent question. The short answer is that judges are appointed by the governor, but only after a judicial nomination commission evaluates “applicants” for the position and narrows down the list to 3 nominees from which the governor makes a selection. This is a tremendous resource…assisted us greatly in our informed decision seeking. Thank you. do you know where I can get more information on El Paso County Judges. Not much to go on. At least, we can tell our friends locally to check out your great resource. What a fantastic resource. In the past, rather than voting blindly I usually chose not to vote on judicial retention items. This is exactly what the I need (and the public needs). Thank you for your work to support an informed constituency. I’d like to know which judges were anti-2nd Amendment and have ruled against the 2nd Amendment. They need to go. would like some info regaeding the Justices/Judges retention, which are more concervative. Many thanks for getting some info to start my findings. Just because a judge didn’t uphold the Colorado Constitution doesn’t make them bad, if the item in question conflicts with the US Constitution. Despite your claim to presenting facts objectively, you are pandering to people of a certain philosophy by your summary rating. Your information bears a full reading for the thoughtful person to make a judgement. Suzy P, that’s a fair point – with a huge IF. Colorado judges, like other state elected officials, are sworn to uphold the Constitution of the United States and of the state of Colorado. I WISH SO MUCH THAT I HAD THIS INFO LAST WEEK – BEFORE MY BALLOT WAS MAILED. THANKS FOR YOUR GOOD WORK. Thank you so much for this page. Makes voting for judges much easier! Hello, I wrote a couple days ago and dont think I was very clear on what I was asking. I was referred to you via RMGO because I was trying to figure out what judges I wanted to vote for this year. The only topic I am concerned about and that is driving my decisions is gun control. I am pro gun and want to vote in favor of all judges, supreme court, court of appeals, district judges – 17th district and adams county judge. I was looking on your site and trying to figure out how I could go about deciphering your information and figuring out what judges I want to vote for, but there doesnt seem to be a straight forward way of breaking this down. I am not into reading legal documentation and really just want it broke down to laymens terms. Can you assist me with this please? since few cases directly involving “gun control” issues have made it to court, it’s difficult to make a direct connection for all judges on the ballot. Neither of the two Court of Appeals judges, nor any of the 17th District or Adams County judges on this year’s ballot, ruled on gun cases. Unfortunately, there’s no more information available – but hopefully this is, still, helpful. 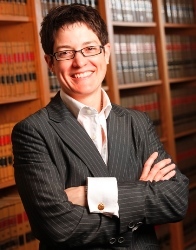 Last week I commented on your research on the Colo Supreme Court and Appeals Court Judges. Again thank you. Beyond that information, last week somehow I also found some citizen comments on the District/County Judges. Was it through your web site? Today I cannot find the District/County information again. I wanted to refer other voters to the same site. Please help! The work the CTBC group does is imperative, thank you. Must know what “The People” think– and heaven knows that we can’t trust the liberal media! VOTE!! It’s just plain wrong that we have judges empowered to take away our constitutional rights not only at the city and county level but in the supreme court whose sole purpose should be to uphold the constitution yet very few cases are overturned. I’m sorry but voting with the constitution 50 or 60% of the time is not good enough. A 50/50 split based on how you’re feeling that day, personal opinions, political views, favoritism or bribes takes away a person’s constitutional rights giving more government control and less control to the people. Unreliable untrustworthy judges that favor DAs and prosecution have got to go. Thank you so much for this truly valuable resource. I was trying to do my own research and it was so time intensive, but this is really easy to follow and very helpful. I have looked over this site for nearly an hour. I find NOTHING that tells me, the voter, how each judge in each district has ruled on issues ( only a select few), but I am finding many SUBJECTIVE comments as well as seeing that almost all are surveyed to be RETANED ( like I am going to believe the lawyers on this ). I am looking for the records of their rulings on CONSTITUTIONAL ISSUES that relate to Colorado as well as Our Republics Constitution. I am also looking to see who appointed them on the higher courts. So far every link I click gives me repeatitive information that I have already foud on Google. Where is their a simple to see SCORECARD for all judges up for retainment to be found? You have a select few but not ALL….I am very displeased with the site and its navigational quality to find information. I am having far better luck on GOOGLE! I do NOT want to know what other lawyers are saying as who must be RETAINED!!! I am looking for a RULINGS SCORECARD on CONSTITUTIONAL ISSUES! Its not on here so my thought is to vote NO on all the judges…PERIOD. nO HELP HERE. just to clarify, the Clear The Bench Colorado 2014 Evaluations of Judicial Performance are, due to resource and time constraints, focused at the statewide level. (That is clearly stated up front). We DO provide a “simple to see SCORECARD” on constitutional issues (as you asked) on the appellate court judges on this page (it’s pretty hard to overlook). Acknowledging our resource constraints, CTBC makes no pretense of evaluating district and county judges on constitutional issues, with rare exceptions. First, we lack the time and manpower. Second, there is rarely a written record. Finally, the vast majority of cases at the trial court level do not touch upon constitutional issues. It’s regrettable that you overlooked the “RULINGS SCORECARD on CONSTITUTIONAL ISSUES!” for the appellate court judges appearing on this page. Thank you for compiling this research for us. This is very helpful. Most of us voters do not really know how to evaluate whether or not to retain a judge. As usual, Clear The Bench Colorado provides the information necessary for informed decisions on who to retain in the courts. Thanks again and nicely done! I would appreciate more succinct information or a summary in addition to the law vernacular of all of the cases. For someone untrained in law, it can be confusing to sort through. Would you consider a shorter summery, in addition to the more lengthy case studies? I think people would find it more approachable and be more likely to vote. Thank you for the dedicated work that you are doing to bring transparency and accountability! It is needed! Consider putting who judges were appointed by as a part of the critique, this would give us an idea of where they came from and by whom. unfortunately, our analysis has shown that information on who appointed the judge is rarely an effective indicator of actual performance. but handed down one of the most abysmally horrific rulings in the last several years in the Lobato school funding case. (had it not been, appropriately, struck down by the “new & improved” Colorado Supreme Court – a ruling endorsed by justices who were appointed by governors NOT exactly on the right side of the rule of law and our constitution). CTBC sticks to evaluations of actual judicial PERFORMANCE and avoids extraneous indiciae not relevant to how they rule from the bench. Thank you soo much for this informative website. It is of GREAT value to those of us who deeply desire to vote our conscience but don’t have the time to watch over every judicial ruling in all of their complexities. Your research and hard work are invaluable and greatly appreciated! Keep up the good work. George Bush, Sr. appointed Justice Kennedy, now one of the most liberal judges on SCOTUS. I’ve voted “no” on all but Boatright, who while he is imperfect, I hesitate to get rid of for fear of a new Dem governor (God forbid but we do have Boulder and other liberal bastions tilting our elections) potentially appointing all worse judges. I found Marquez’s record a bit more troubling. 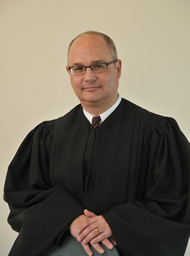 Thankfully one of our local judges, Schum, is retiring amid some rumored controversy. I’m voting no on anyone else up for retention. Where are the evaluations of the judges on the 2016 ballot?? Where are the evaluations of the judges on the 2018 ballot?? This is the 2014 Evaluations page.